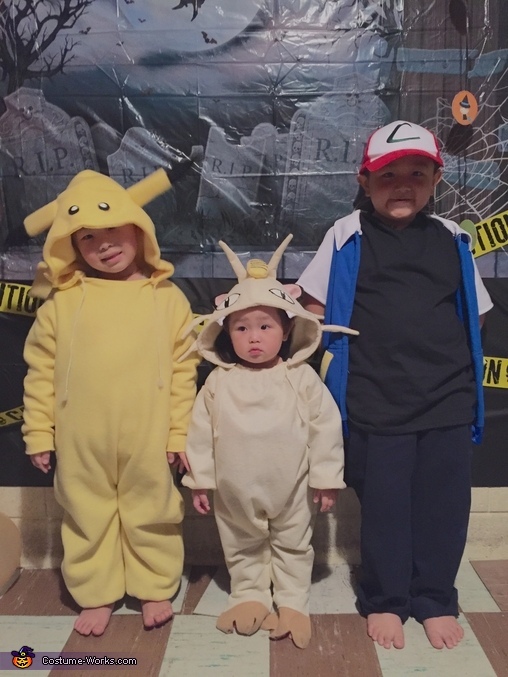 Meet Pikachu, Meowth, and Ash Ketchum from Pokemon. These costumes were made with patterns made by myself and pieced/sewed together by me. For Pikachu and Meowth costumes I approached it as if they were body suits. I then added hoodies onto the body suits and designed the head like the characters. For Ash's costume, I used a blue pull-over hoodie and cut the hoodie and sleeves to form the blue vest. I then made white sleeves to sew onto the blue vest. Nothing is impossible to make when you put your mind to it. Make it originally unique in your own way.